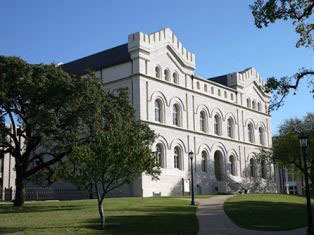 The State Preservation Board preserves and maintains the Texas Capitol, the Capitol Extension, the 1857 General Land Office Building, other designated buildings, their contents and their grounds; preserves and maintains the Texas Governor's Mansion; and operates the Bullock Texas State History Museum and the Texas State Cemetery. 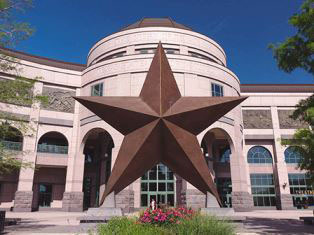 We provide educational programs centered on Texas history, government and culture. These services benefit the citizens of Texas and its visitors. The SPB acts in accordance with the highest standards of achievement, accountability, and ethics. 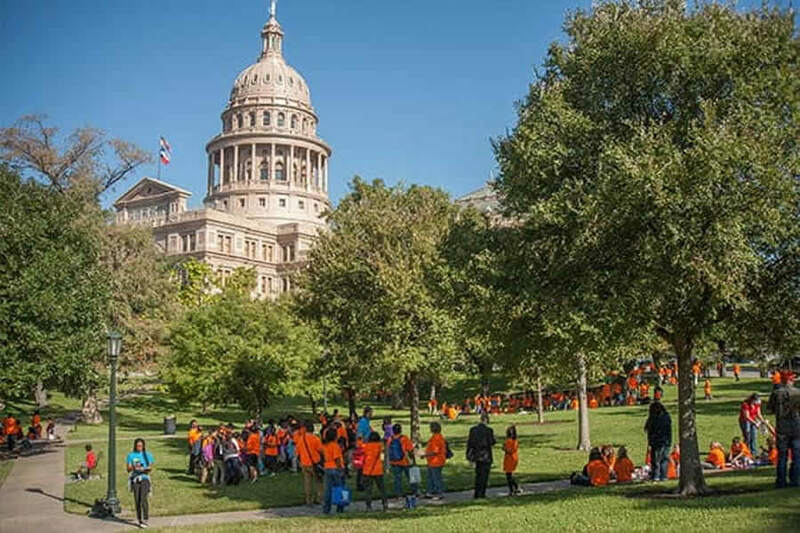 We manage our resources wisely as public servants and stewards of some of the State of Texas's most important historical and architectural resources. We strive to maintain a productive working environment where each person is valued and where all staff can work together positively to accomplish common and individual goals. We are driven by our commitment to excellence and our appreciation of the lessons of history and the value of the past as a teacher for the future. 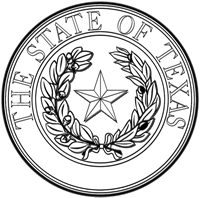 State Preservation Board - Texas Administrative Code, Title 13, Part 7, Chapter 111. Texas State Cemetery - Texas Administrative Code, Title 13, Part 5, Chapter 71. State Preservation Board - Government Code, Title 4, Subtitle D, Chapter 443. Bullock Museum - Government Code, Title 4, Subtitle D, Chapter 445. 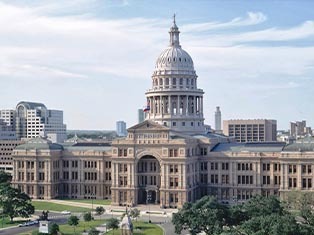 Preserving the Texas State Capitol, the Governor's Mansion, and the 1857 General Land Office. Operating the Bullock Texas State History Museum and the Texas State Cemetery. 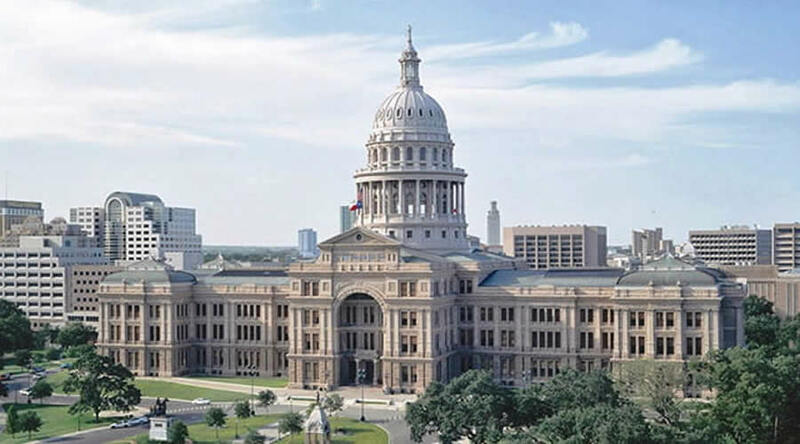 Providing housekeeping, maintenance and grounds keeping services at the Capitol, Capitol Extension, Capitol Visitors Center, Capitol Visitors Parking Garage, the Bullock Texas State History Museum, and the Texas State Cemetery. 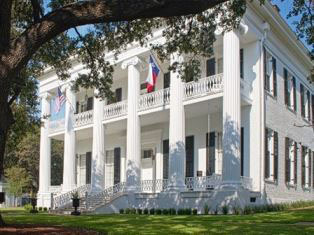 Providing maintenance and grounds keeping services for the Texas Governor's Mansion. Approving all changes involving construction, restoration and repairs in the Capitol, Capitol Extension, General Land Office building, and on their grounds. Providing educational and curatorial services. Care for the Capitol Historic Artifact Collection, which includes Capitol furniture, art, and other decorative works. Providing interpretation and guided tours of the Capitol, Capitol Visitors Center, and State Cemetery. Operating the Retail Gift Shops to provide revenue for the support of preservation, and for educational programs centered on Texas history, government, and culture. Maintaining State Cemetery archives and providing genealogical and historical research. 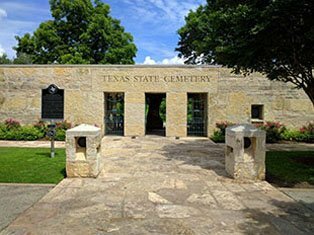 Providing interment services for specified citizens of the State of Texas. Scheduling and managing public events and exhibits at the Capitol. Scheduling and managing the Legislative Conference Center, Historic Court Rooms, and Extension Auditorium for Capitol occupants. Operating the Capitol Visitors Parking Garage and maintaining the Capitol Complex Parking Meters. 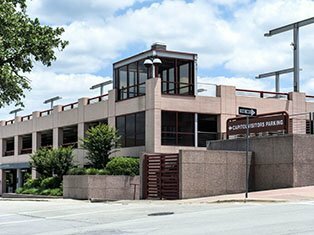 Maintaining the Capitol Extension and Bullock Texas State History Cafeterias. Carpenters utilize specialized skills and standard trade practices to maintain the historic structure. They care for over five miles of original wainscoting as well as hundreds of doors, window sills, and shutters with special finishes. Carpenters check specialty hinges and hang numerous framed objects including historic artwork. Curatorial staff maintain thousands of historical items including original or custom-made furniture, early Texas artwork and significant historical objects related to the Capitol. Since the majority of these items are utilized or displayed, staff must provide constant maintenance as well as oversee specialized conservation. Electricians monitor numerous different light fixtures throughout the Capitol Complex. These range from ornate chandeliers in the legislative chambers to the massive outdoor lights. The electricians have reduced energy consumption by installing LED fixtures throughout the Complex. Housekeepers ensure the more than 1 million gross square feet of the Capitol and Extension remain pristine. They care for special floor finishes, including reproduction carpeting, encaustic tile and linoleum. 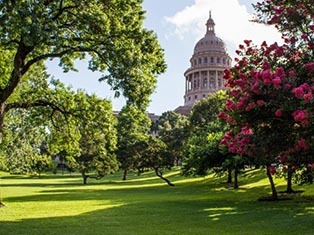 Housekeeping staff collect approximately 182 tons of recycled material from the Capitol each year, which results in saving 4,368 trees. HVAC (heating, ventilation and air conditioning) technicians face the challenge of servicing contemporary equipment fitted into historic spaces as well as massive machinery in the modern Capitol Extension. This team balances maintaining a stable environment while keeping the machinery running as efficiently as possible. The decorative finishes throughout the building require painters to utilize restoration finishes. The painters address a variety of surfaces ranging from doors, windows, decorative molding, walls and ceilings while taking precautions to protect historic fixtures and flooring. Plumbers maintain miles of pipe extending through the Capitol and Capitol Extension. Although they contend with the normal office building features such as sinks and toilets, they also oversee enormous storm drains in the Extension that can fill up during torrential rains.